Lighting design is an essential process in architectural & landscape design for correct illumination and highlighting parts of a scene and enhance storytelling.Whilst targeting specific illumination goals and constraints, the process can be tedious and counter-intuitive even for the most experienced lighting & landscape desginers. Example: High-lighting beautiful trees in a landscape scenerio can be a daunting task, there so much detailing that needs to be considered and then the task of identifying the right kindly of fixtures from the hundreds of options available. The problem becomes even more complex when you enlarge the area – the landscape area. After studying the problems of the Lighting Designers and deliberating the issues with our team of designers and international lighting designers, we were collectively able to come up with an extremely creative solution and were able to resolve most of the challanges. Now imagine a single light fixture that solve most of these complex challenges of overall lighting, task and accent A single product that take the shape of multiple type of light fixtures with multiple applications i.e: In-ground, Spike, Bollard, Pathway, Pole, Silhoutting/Spot, Accent, Focus Light, wrapped to the exact branch of tree from where you need to highlight the desired area. 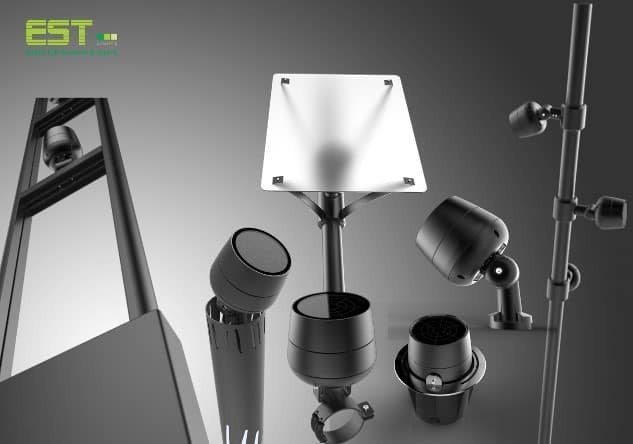 With 0-180 degree tilt, 7 different bean angles – 3.5 to 60 degree, 18W to 80W, design & finsih that you will adore. This is love at first sight. Fixture is the same but the housing is changed to your desire. This product has become the darling of landscape lighting designers & Architects, with its design, beauty, finish, application and the technical specs being compared to the best in the industry. With beam angle starting from 3.5 degree you could focus the farest possible colorful flower on the tree to be highlighted froom ground level. The finest light fixture for your landscape and tree lighting available with versatile applications & 3 years guarantee. “Tweet this!” https://t.co/ZYVyyQtDB4 to your friends in the Lighting Industry & Architects.